In case you haven’t been following the story, here’s the broad strokes: A group of hackers, almost certainly backed by the government of North Korea, obtained and then set about periodically releasing a mountain of documents and whole unreleased films from Sony, apparently in retaliation for that company’s then-upcoming film The Interview. The latest collaboration between comedy partners Seth Rogen and Evan Goldberg, The Interview stars Rogen and James Franco as fluffy entertainment reporters assigned to assassinate North Korean president Kim Jong-un. The already aggressive action of the hack escalated Wednesday when hackers issued threats of violence against theaters playing the film. Major film chains refused to show it and, ultimately, Sony chose not to release it. This is without precedent. Films have been voluntarily pulled from theaters out of anger, as when Stanley Kubrick kept A Clockwork Orange out of circulation in Great Britain for years due to the outcry over its violence and death threats against his family resulting from that outcry. They’ve been pulled out of sensitivity to current events. I spent a good chunk of September 11, 2001 trying to distract myself by writing a review of Big Trouble, which I’d seen the day before, then realizing that elements of its plot—including a nuclear weapon getting smuggled onto a plane—pretty much assured it wouldn’t come out as planned. If ever. It did, as did other films delayed by 9/11, such as Collateral Damage and The Time Machine. Conditions changed. Nothing reverted back to the way it was before, but in time it became possible to look at things that would have been uncomfortable in the immediate aftermath of 9/11. 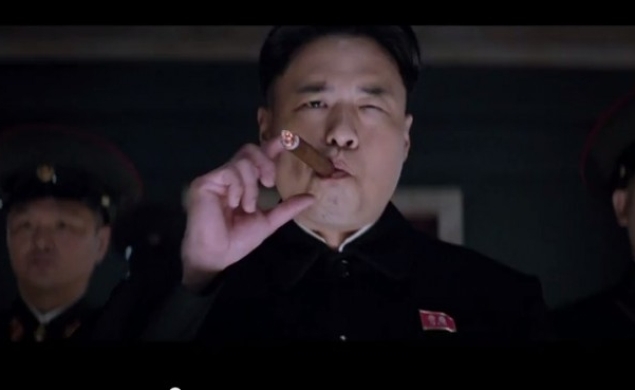 They wrote a movie offensive to Kim Jong-un and North Korea. That’s not a crime, not in most of the world anyway. There have been a lot of arguments advanced for why it was necessary for the press to cover stories that emerged from the illegally obtained information in the Sony hacks. I haven’t read one yet that didn’t sound like after-the-fact justification for a conscious misdeed. The conversation here, between myself and our interim news editor Kate Erbland, boiled down to a quick IM exchange that essentially read “Should we?” “No, it’s gross.” Then again, the inner workings of studios isn’t really our beat at The Dissolve, nor are we a major news organization with the pressure to keep up with other major news organizations. Still, I don’t think there’s any way to spin outlets pulling up and digging in to information to which they never should have been privy like they were sitting down to a Thanksgiving feast as anything but rewarding and encouraging the bad behavior of those responsible for the hacks. When the threats emerged, all the major American theater chains backed out of screening this movie. Were the threats credible? Not according to the Department Of Homeland Security, and this really only seems like a legitimate response if theater owners imagined a nationwide reign of terror at theaters across the country. As Amy Nicholson put it, “What, they were going to fly an airplane into the AMC Dubuque 14?” It seems like this could have been handled by beefing up security at theaters that seemed like possible targets, if any, rather than removing it from every theater everywhere. And yet here we are. In the same column quoted above, Nicholson points the finger at Sony calling this moment “the end of free speech in Hollywood.” That may be a bit of an overstatement given that it’s a corporation making the decision and not the government. And yet, the effect is essentially the same: There’s a movie sitting there waiting to be released on Christmas that won’t be released on Christmas, or possibly ever, because it offends North Korea, and at least one other film dealing the country has already been scrapped. We are deep into uncharted territory. It doesn't look like a place we should stay.